To overcome Erectile Dysfunction permanently with a Non-Invasive, Painless treatment Leveraging its core technology and 18 years of experience in utilizing shockwave therapies to solve multiple health issues, Medispec has developed the only existing method for actually curing / reversing Erectile Dysfunction. This first-of-its-kind system is already improving the quality of life for men and their partners around the world. 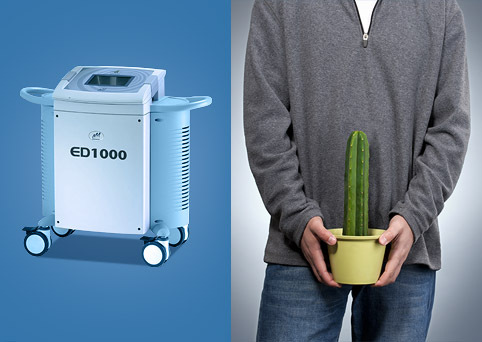 Medispec’s ED1000 (EDST), a new non-invasive, painless solution treats the actual cause of the problem. The ED1000 is the only existing method for actually curing or reversing Erectile Dysfunction and the first-of-its-kind system is already improving the quality of life for men across the world.